Biscotti with oatmeal? 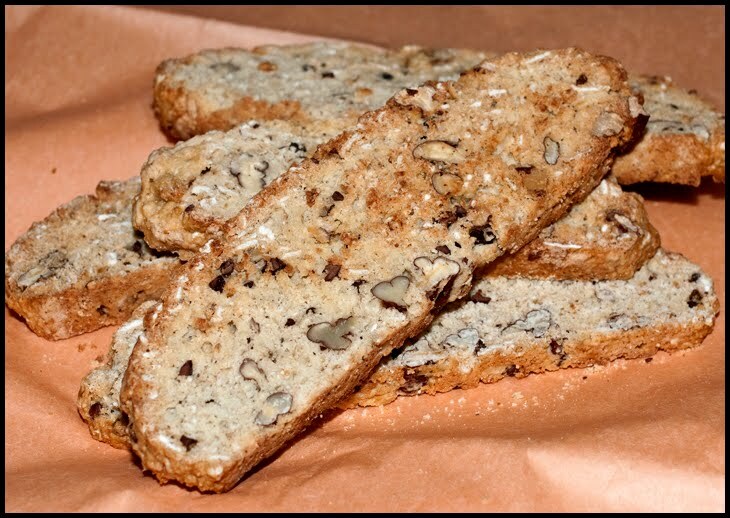 I'm not sure if they're authentically Italian, but these biscotti are oaty and coconutty and extra crispy. They're perfect for dunking. I followed the recipe fairly closely, though I used walnuts instead of pecans, and I added some extra chopped nuts to the dough. I also cut the biscotti thinner to make sure that they were truly crispy. And, I left off the white chocolate icing. If you love biscotti and you want to try a whole grain version, this is really a nice recipe to play around with. I need to try this! The oatmeal/coconut combo sounds delicious. I agree with you about leaving off the white chocolate icing. I don't think biscotti should have icing.